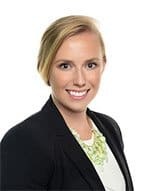 I’m pleased to offer a guest post today from McKenzie Brower, a contributing writer and media specialist for Orangetheory Fitness. High-Intensity Interval Training has been shown to be very effective for weight loss but can be a little intimidating. It’s intimidating to me at least so I was thrilled when McKenzie offered to share some tips on getting started with my readers. 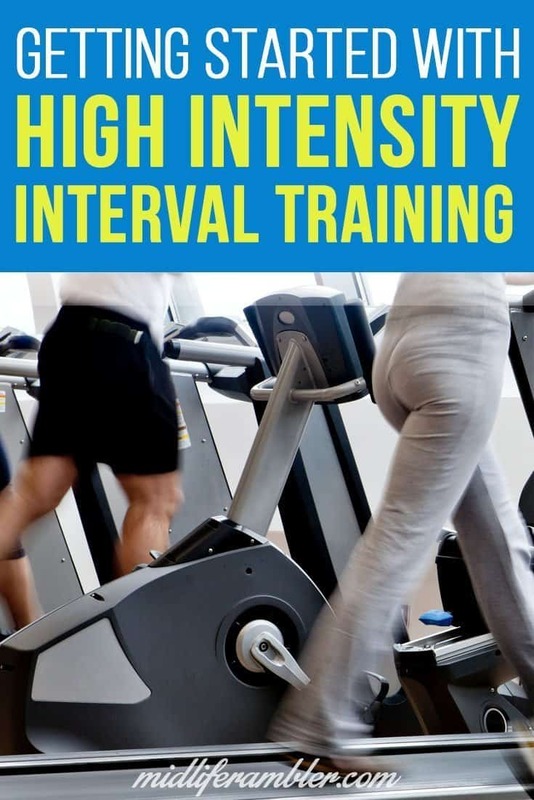 If you’re looking for a way to get a fantastic workout that doesn’t take an hour out of your day, high intensity interval training (HIIT) is a popular choice. 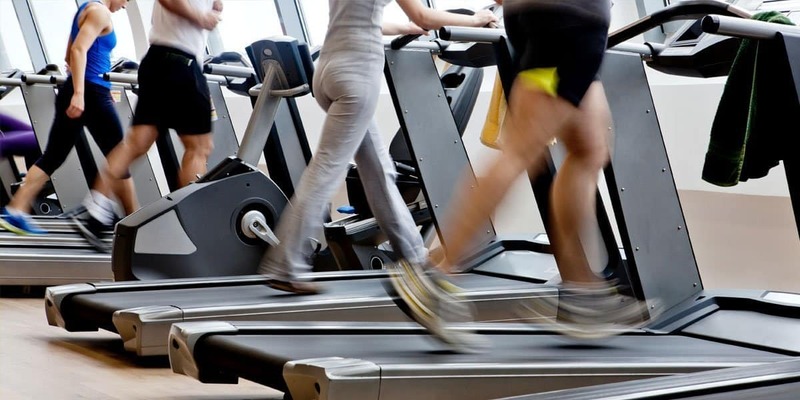 You can burn a substantial number of calories and improve your cardio quite a bit. Here’s everything you need to know on HIIT, including how it works, where you can do it and examples of HIIT workouts. As the name suggests, HIIT is a type of interval training where you mix short periods of high intensity exercise with lower intensity recovery periods. Keep in mind that you’re typically not resting during those lower intensity periods, only reducing how hard you go to recover for the next period of high intensity work. However, there are some HIIT workouts where the recovery period is an actual rest period. The one key for HIIT is that you reach the appropriate intensity for those high intensity periods. You should be at 90 to 100 percent of your ability during that time frame. You can adjust everything else based on your current level of physical fitness. For example, you could do just 10 seconds of high intensity exercise with a 50 second recovery period if you need that much time. As you improve, you can increase the high intensity time period and decrease your recovery time. You can also adjust how hard you go during that recovery period – for example, you could go from 30-percent effort to 50-percent effort. A HIIT workout consists of a short warm up, the HIIT portion, and then a cooldown. The HIIT portion itself can be as short as five minutes. HIIT workouts typically range from 10 to 15 minutes. Where Can You Perform HIIT? Besides the short amount of time needed to get an effective HIIT workout, another benefit is that you can do it just about anywhere you want. HIIT has become far more popular in recent years, which means there are plenty of gyms that offer classes for it, but you could also try it at home or outside in the park. Perhaps the most common type of HIIT workout involves running, as that’s one of the easiest exercises to adjust the intensity at a moment’s notice. All you need to do is alternate between periods of sprinting and rest periods where you either jog or walk. You could also do this with just about any other type of cardio. If you’re riding a bike, exercising on an elliptical machine or swimming in a pool, you could follow the same HIIT pattern with any of those. Calisthenics exercises are another popular option when it comes to HIIT, but with these exercises, you’ll do HIIT where you actually rest during your recovery periods. Here’s one way to do this – you choose an exercise and a number of reps that you can do easily, along with how long you’ll rest between sets. Then, you go through that pattern either a certain number of times or as long as you can. For example, you could do 20 pushups, rest for 25 seconds and repeat that pattern until you can’t do the full 20 pushups anymore. What makes HIIT so effective is that it gets you exercising at your absolute hardest. When you do, it gives your metabolism a boost, improves your endurance and helps you cut more body fat. And you’re not just burning calories while you’re exercising. HIIT increases your oxygen consumption both during and after your workout. Since you’re continuing to consume more oxygen for some time after you finish exercising, you’ll also be burning extra calories. While HIIT is useful for anyone, it’s especially good for those looking to lose fat and athletes who are preparing for sports that require short bursts at maximum intensity. Football is a good example since it consists of short plays with longer rest periods. HIIT may be just what you need to take your routine to the next level, improving your athletic performance or taking off those pesky last few pounds. Start by trying it once or twice per week. Even with the benefits of HIIT, it’s still important to follow a varied routine with different types of exercise. Make sure you’re eating healthy, as well, because no amount of HIIT can outweigh a poor diet. McKenzie Brower is a contributing writer and media specialist for Orangetheory Fitness. She regularly writes for health and fitness blogs with an emphasis on High Intensity Interval Training.